Custom Flexstone trowels have 3/8″ x 3/8″ V Notches designed specifically to spread the Flexstone base coat to the ideal thickness. The trowels are composed of polished steel so any product stuck to the tool will peel off easily once it has cured, allowing them to be re-used. Available in 11″ and 14″ sizes. 3/8″ x 3/8″ V notched squeegees are ideal for larger projects and open areas. Fitted with an adapter, simply insert a pole and spread the base coat standing up and faster than ever before. Available in 18″, 24″ and 30″ sizes. Standard 9.5″ roller cages are available with accompanying sleeves. Ribbed wires help to keep your sleeves secured in place. This economy cage is affordable and reusable. 9.5″ Sleeves are lint-free and disposable. They are available in both 10mm (standard) nap as well as 19mm (thick) nap. 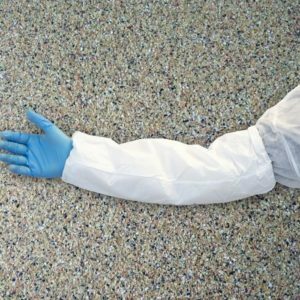 The standard nap roller sleeves are designed to spread the AR Colour coat evenly while the thicker nap is ideal for attaining an even finish with our Flexstone Clear Coat. 18″ roller cages and sleeves (10mm nap and 19mm nap) are available for order. The double-wide system is ideal for large open areas like roof-decks, garage floors, driveways, or large decks. Disposable and economical 3″ brushes are available for purchase individually or in a case of 24. Ideal for detail work and finishing. 22″ reusable roller trays are designed to accommodate 18″ rollers. Materials can often be peeled right out after curing or with some xylene, cleaned and prepped for re-use. Disposable 11″ tray liners to be used with the reusable paint trays. Available individually or in packages of 5. Flexstone materials will not dissolve the disposable trays. Designed for standard 9.5″ roller cages. Rugged reusable grinding wheels are ideal for smoothing out imperfections in the Flexstone base coat. 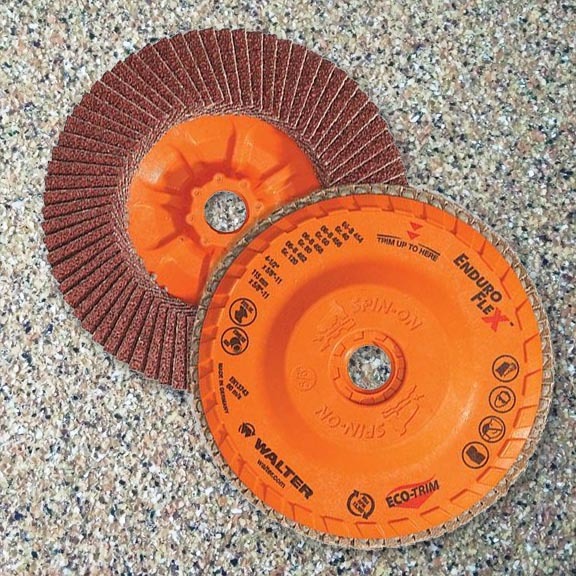 Simply attach to nearly any standard angle-grinder and feather down high spots, pronounced ridges, or any other cosmetic issue. Cleaning out buckets and troweling base can be messy work, and cleaning material off your skin can be time consuming. Save the mess and hassle with disposable arm sleeves (one size fits all).